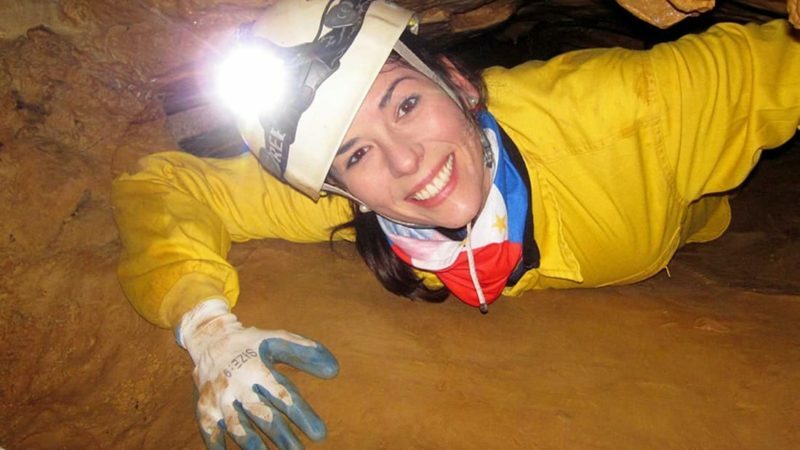 Caving in Madrid - Spelunking in Madrid. Explore caves in Madrid. 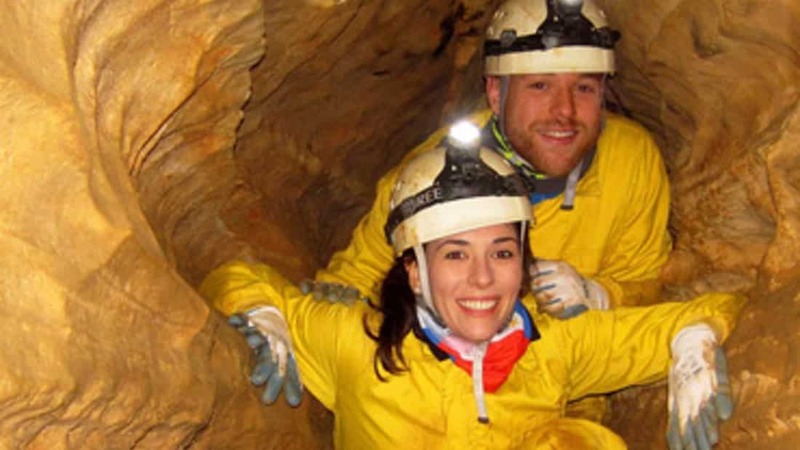 Enjoy a Caving Adventure Tour in Madrid. You will explore dry and wet sections of the cave, tunnels, chambers with columns and wall formations. The Witch´s Cave tour includes a walking approach and a 30 meters steep descent that connects with three underground floors. For families with children we design a caving itinerary according to their age and experience. 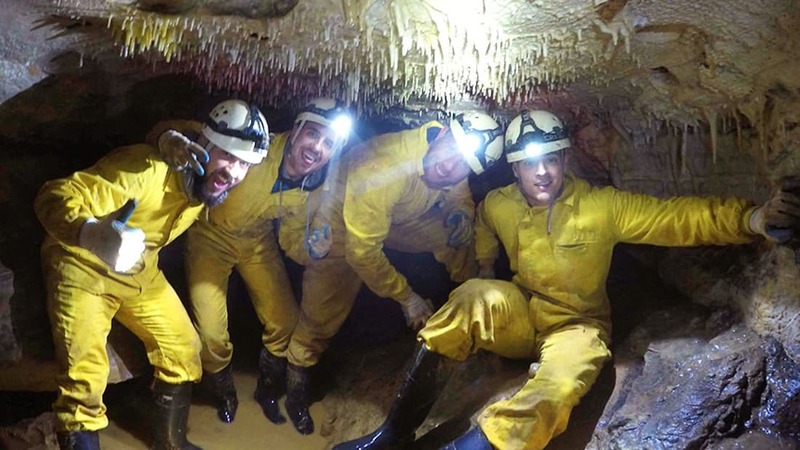 Enjoy Caving in Madrid with Dreampeaks. An underground adventure just 1 hour from Madrid city. Transport Included. Caving (also known as speleology, spelunking or in some cases pot-holing) is the exploration of natural underground passages, galleries and chambers pausing to admire the stunning views and formations of caves and pot holes. The Witch´s Cave tour includes a walking approach, a narrow entrance and a 30 meters steep descent that connects with three floors. During the activity we will explore dry and wet sections of the cave, tunnels, chambers with columns and wall formations. As a sport, caving involves elements of other outdoor activities and is often considered a combination of rappelling/abseiling, hiking and, on occasion, crawling. This activity is suitable for adventureous people and is led by professionals guides so that participants can safely enjoy one of the most exciting activities in Madrid. 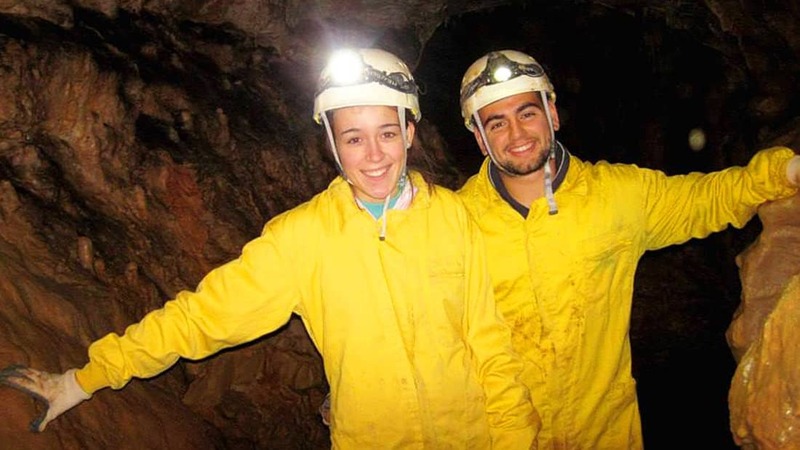 DISCOVER CAVING IN MADRID WITH DREAMPEAKS! Caving in Madrid Tour at The Witch´s Cave (3 hours approximately). Individual Caving Equipment: helmet, headlamp, harness, gloves and an oversuit of hard-wearing. -This tours involves narrow sections through galleries, underground chambers and wet slippery ground. -Do not suffer from claustrophobia. -Children from 7 years old. -Daypack, sport, hiking or outdoor wear, sport shoes with good grip sole or hiking boots to wear in the cave (no flip flops or sandals). -Dry casual/sport wear and dry shoes or flip flops (summer season) to change after the activity. Hubby and I did some caving yesterday, and despite an unexpected turn of events (the original cave we were supposed to go to was closed by the town council for some unknown reasons) our guides were quick on their feet and we immediately went to another cave and I have to say the day couldn’t have gone any better! Jorge and Moises are the stuff legends are made of! Our day was topped off with some tapas with a birthday song as well! Can’t wait to have more adventures with Dreampeaks!